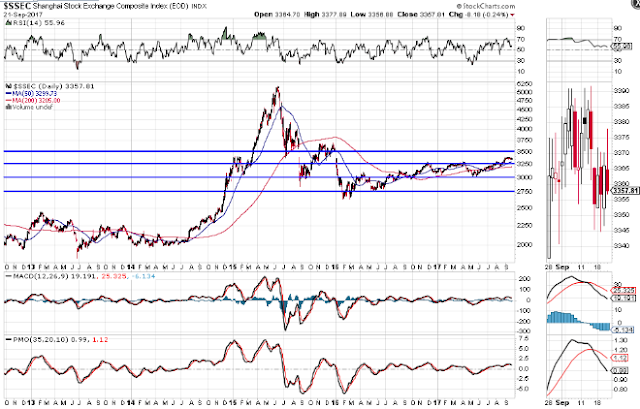 It's currently trading under the bullish influence of a moving average Golden Cross formation, with the RSI, MACD and PMO technical indicators making a corresponding higher swing high. 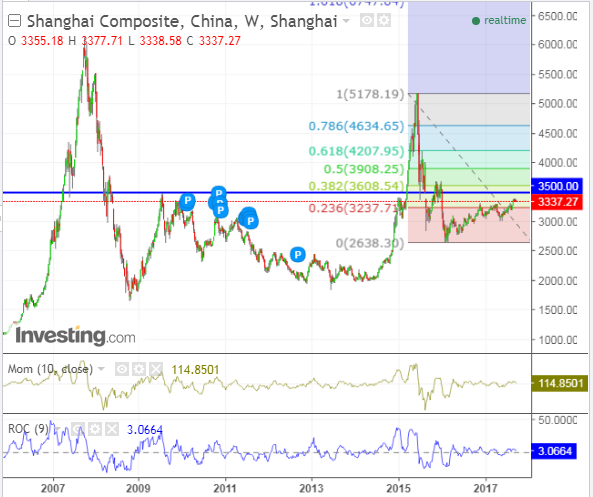 However, the MACD and PMO have recently made a bearish crossover "SELL" signal...if the RSI drops and holds below the 50 level, we may see price drop and retest near-term support at 3250, or fall to, potentially 3000, or lower. According to the Weekly chart below, longer-term support sits around the 23.6% Fib retracement level of 3237 and 40% Fib retracement resistance is at 3608, but, this index faces longer-term major price resistance at 3500 before that level. Momentum and rate of change have been flat on this longer term time frame, so I'm unconvinced of a sustainable bullish bias...instead, we may see further volatile price swings until direction becomes clearer on this index. 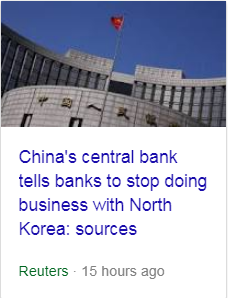 Furthermore, any strength (that may have been contemplated by foreign investors) may now be in jeopardy, as Standard & Poor's downgraded China's credit rating to A+ from AA- today. 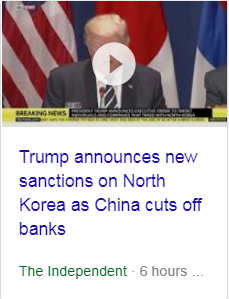 Added to that volatility headwind, are new sanctions issued today (Thursday) by China's Central Bank and the United States in regard to North Korea.